EMERYVILLE, Calif., October 11, 2018 /3BL Media/ - SCS Global Services (SCS), a trusted third-party certification body and pioneer in the fields of food safety, quality, and sustainability, is pleased to announce that it has been accredited as a certifier under the ISO 22000:2005 international standard for food safety management. The standard provides robust food safety management requirements for growers, food manufacturers, processors, packers, retailers, and other entities across the human food and animal feed supply chains. 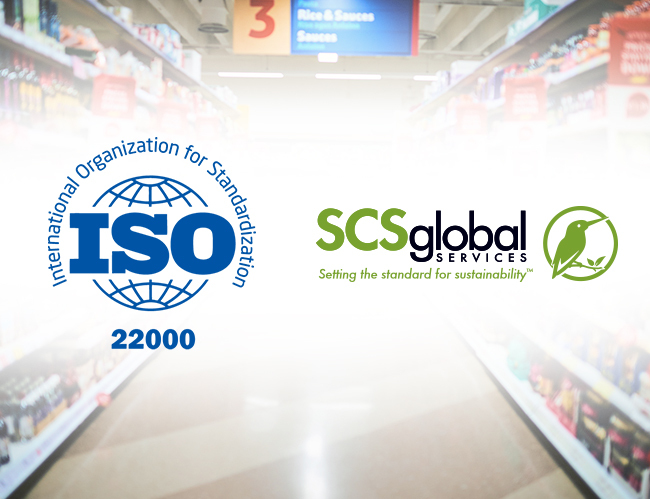 “The addition of ISO 22000 to our suite of certification offerings means that clients can be more responsive to their customers and stakeholders around the world, while simultaneously benefitting from the efficiencies of working with one certifier to handle all of their audit needs,” said Heena Patel, SCS Technical Director, Food Safety. This is particularly important, she noted, given the increasing extent to which food items now cross international boundaries from farm to fork. ISO 22000 maps out the steps an organization must take to demonstrate its ability to control food safety hazards in order to ensure that food is safe. It was developed through the multi-stakeholder consensus ISO process, involving country delegations from around the world. Given its international status, it also serves as a platform upon which other standards can be benchmarked or built, such as FSSC 22000. In addition to ISO 22000, SCS provides certification services in connection with a broad range of globally recognized food safety standards, including SQF, GLOBALG.A.P., PrimusGFS, BRC Global Standard for Food Safety, Good Manufacturing Practices (GMP), and others. SCS also provides extensive food safety training services. About SCS Global Services. SCS Global Services (SCS) has provided global leadership in third-party quality, environmental and sustainability verification, certification, auditing, testing, and standards development for more than three decades. Its programs span a wide cross-section of industries, recognizing achievements in food and agriculture, green building, product manufacturing, natural resources extraction, and more. SCS is a chartered benefit corporation, reflecting its commitment to socially and environmentally responsible business practices, and recipient of the 2018 Business Intelligence Group Sustainability Award. For more information, visit www.scsglobalservices.com. Media contact: Bernadette Goldstein, bgoldstein@scsglobalservices.com, +1-510-452-6825 direct, +1.707.299.8303 mobile.